However, allow me to interject and say today was an incredible day! I can’t imagine my actual favorite day being better than today, but I know it will be just because of the memories and memorial-like meaning it has. The longer my celebration of my favorite day has gone on, the more the week leading up to it and days after it are just as lovely! 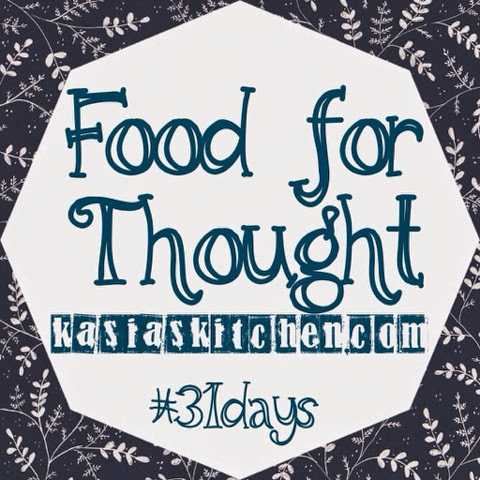 I will return to my explanation of my favorite day and why it’s connected to my #31Days topic on daring to believe in God’s love for me, but for a brief-ish moment allow me to tell you about today! Today was just fabulous. I accidentally overslept because I dreamed someone told me to go back to sleep so I could go to the doctor later (what?! ), which seems bad, but actually felt quite nice! I woke up in just enough time to get ready and be at work on time. It felt beautiful. I wore leggings and a cardigan and a bow in my hair. I had Boo Berry cereal for breakfast and drank Cheerwine for my morning caffeine since I didn’t have enough time to get or make coffee. If you are from the East coast, you might not get why Cheerwine would make me so happy, BUT I’ve never been able to find it in Mississippi. I discovered it the summer I spent in Charleston, South Carolina. And Sunday night I found it in a Dollar General in my town in Mississippi! The afternoon was good, door open, feeling the cool, crisp new air. Hung out with a friend. Washed clothes without having to wait on students to use the machine. And then I met with my accountability group, some of my favorite girls on the planet right now, at our local coffee shop, Cups. We opted to sit outside because it was a beautiful 59 degree night. As we sat there sipping our coffee, or pumpkin chai tea latte for me, talking about Jesus and our lives, a four person folk-ish band was practicing outside with us! At one point as we were all basking in the giddiness of the night I said, “Is this real life? !” IT. WAS. BEAUTIFUL. If I didn’t already have a favorite day, I would have officially made today my favorite day! End interjection. So, I have a favorite day. October 14th. Inevitably I will be counting down and chattering about my favorite day until it gets here and apparently having a favorite day is not super common/normal. Therefore, people always ask why I have a favorite day. Of course I will still happily tell them about it, but I thought I’d write about it since I gush about the favorite day countdown and details on social media and have many new followers and friends who are new to my life and may not know the story. Once upon a time, almost 11 years ago, on October 14th, 2002, the leaves fell from the trees, swirled through the air, and landed on the ground in an exceptionally beautiful way. In the way that makes your insides jump with giddiness and a huge cheesy grin form on your lips and stay there. In a way that makes you close your eyes and take in the moment, the wind on your cheeks, the coolness in the air, the feeling of life. Some people say everything feels alive in the spring, I happen to think it feels ironically most a live in the fall. 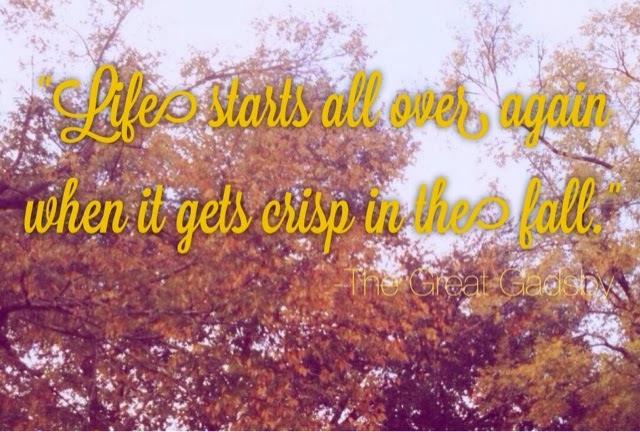 You see, fall is my favorite. I’ve come to realize not everyone has a favorite everything, but I am not one of those people. I have a favorite EVERYTHING! Multiple favorite everythings. Ask me simple question like, “what’s your favorite color?” Well I’d say my favorite color overall is pink, but my favorite color to wear is green and my favorite color to decorate with is red. I have a favorite cup, lipgloss, chapstick, nail polish, flour, flower, store, cardigan, dress, and I could go on and on. But fall, fall is a different kind of favorite. Fall has always made me ridiculously happy, giddy even. And on this lovely day when the leaves swirled in their exceptional sort of way, the 20 year old college sophomore version of me noticed. I cancelled all my classes for the day (what I liked to call skipping), and stayed outside the entire day. I played in leaves, laid in leaves, crunched leaves, had a picnic outside, prayed, and decided to remember that October 14th was an exceptionally beautiful fall day. The next year my theory proved right about the day, it was just as beautiful. In college I was a lot better at believing God loved me. It wasn’t until some stuff from my childhood, the ways it manifested in my life as some sin struggles and chains, and the shame that came with it all a little later in life that I lost my ability to believe in God’s love for me. On the first October 14th, and even more so on the second when it was again a beautiful day, I vividly remember believing with all of my heart that October 14th was the day that God made for me. I remember knowing and believing that it was going to be our day, a day for me to remember Him and that He loved me enough to give me such a beautiful day. In case you didn’t know or couldn’t tell, I’m quite the share-y type. So of course, October 14th caught on. It became a day that my friends and I celebrated! I even got presents (one year one of my friends even made me a t-shirt). I get almost as many calls, texts, and Facebook posts wishing me a happy favorite day as I do on my birthday. Somehow, even during the years that I was struggling with depression and completely taken over by unbelief, I still felt God’s love every October 14th. Even on the days when rain was predicted for October 14th, it usually didn’t rain, and if it did, it was short-lived. And the rain on those days? The most beautiful rain! Even on years when I thought God had forgotten me, somehow He always showed up to remind me He was there and loved me. So, I always make plans to celebrate it. I do care about my birthday (more than most people), but I love October 14th even more. One year when I was living in New Orleans we drove to a beautiful part of town, brought drinks and picnic supplies, got crepes from a walk up place, and had a beautiful picnic in the middle of a beautiful park. Many years we’ve gone to dinner, always opting for places with outdoor seating. I could tell so many stories and list the gifts people have given me (totally unnecessary of all of my friends, but so sweet and loving!). And so of course, when someone reminded me today that my favorite day was a week away, I immediately jumped to action to come up with a plan (in addition to deciding in that moment that I’d write this post). I just so happen to not have to work that day because it’s a game week and I get Monday off instead of Friday off! See?? God knew. I’m convinced. -Wear a pretty dress and a scarf, have cute hair, wear makeup (I rarely wear makeup, so it’s significant!). -Start the day with an hour or so with Jesus at Starbucks with a pumpkin spice latte sitting at an outdoor table. -Pack a lunch, a blanket, and book and eat, read, and rest outside under a tree. -Have a BYO (bring your own) dinner picnic. -Walk to Cups to meet with my accountability group, drink something fall-ish, walk home (or with them while we’re meeting) and take a detour to the Old Towne Clinton Courtyard and end the night by thanking God for using something silly like a favorite day to show His love for me and pray for my future husband (something I don’t do enough but want to do more!). I’m super convinced that this October 14th is going to be the best yet. Even if the temperature is a little too hot and something doesn’t go just right, I’ve never been as close and intimate with Jesus as I am right now or as aware of His love and redemption of my life, and for those reasons, it will be beautiful, new, and crisp. 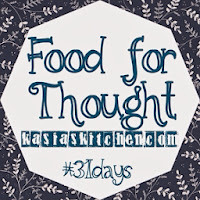 For the month of October, I’m participating in The Nester’s #31Days blog writing challenge. My topic is Food for Thought. I’ll be writing about two main things. 1. Understanding and believing God’s love. 2. Making life in the kitchen more manageable. You can read all my #31Days posts here.